SKU: X180. Category: Wood Cleaners. Tags: deck cleaner, Log Cleaner, Log Home Cleaner, wood cleaner, wood restorer, X-180 Weathered Wood Restorer. Give your home or deck new life with X-180 Weathered Wood Restorer™. X-180 is a safe, biodegradable wood cleaner and brightener that eliminates years of discoloration resulting from accumulations of dirt, mildew and fungus, as well as exposure to sunlight and environmental pollutants. Using high pressure water alone to clean wood will create damage to wood fibers as well as uneven stop and start marks. Water alone will not remove the fungus growth in the fibers. X-180 cleans and restores wood surfaces back to the appearance of original lumber. It is also well suited for the removal of mill glaze * commonly found on decking as well as recently milled logs and half log siding. Regarding warranty for Perma-Chink Systems exterior finishes: not for use on structures after which Perma-Chink Systems exterior finishes will be applied. This includes new construction and existing homes when wood has become weathered/and or maintenance cleaning. 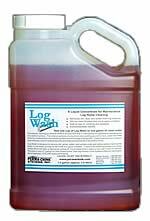 Please see Log Wash and Wood Re-New. 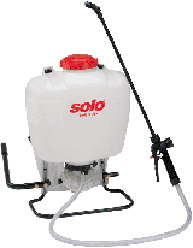 Most liquid cleaners will provide 125 to 150 sq ft per gallon depending on the task and the porosity of the surface. Sweep surface clean of dirt, etc. Factory suggest testing X-180 first on cultured (manmade) stone. To ensure surface is completely rinsed, test rinse water on wall with a pH test strips provided. Proper pH should be between 6.5 and 7. Allow surface to dry 3-4 days before applying any stain. For best results test wood with a moisture meter to determine if the wood is dry enough to apply stain. Do not allow X-180 to splash or dry onto adjacent surfaces. Immediately rinse with water any residue that comes in contact with adjacent surfaces. Mill glaze, a smooth, glossy surface (waxy film) found on smooth, newly mill sawn lumber which is impervious to most coatings. Household bleaching solutions contain Sodium Hypochlorite that does not produce a new natural wood color and harms the environment. 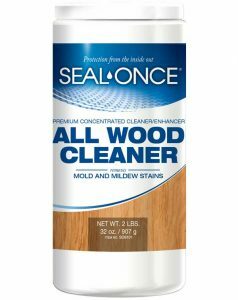 Using bleach to clean wood may produce a chemical reaction with the outer wood fiber forming a film that can cause some paints and stains to not adequately penetrate the surface. The lack of penetration causes adhesion problems and can result in stains and paint separating from the wood surface and failing. Bleaching wood can also result in streaking and striping of the stain or paint applied. Mix X-180 Weathered Wood Restorer™ or All Wood Cleaner according to manufacturer’s directions on the container. Apply X-180 Weathered Wood Restorer™ or All Wood Cleaner from bottom to top with a pump up sprayer. Make sure the surface is fully saturated with X-180. Allow cleaner to dwell on the surface for 15-20 minutes. Scrub any areas that have excess dirt, pollen or mildew collected on the surface with a stiff bristle brush. Warning: Never use steel wool on wood. Rinse top to bottom with a pressure washer at no more than 500 psi. Washing with a pressure washer above 500 psi can damage wood. Keep rinsing with clean water until all the foam residue is gone and then rinse one more time. If using X-180 Weathered Wood Restorer or non-chlorine bleach, test the rinse water with pH strips to make sure X-180 and/or bleach has been washed off completely. Clean rinse water should be between 5 and 7 on the pH scale. Allow wood to dry for 3-5 dry, warm days before applying wood finish. Most finishes require wood to below a specific moisture content. Make sure to check the wood with a moisture meter before applying wood finish. Walls beneath porch overhangs/roofs will not dry as fast as walls exposed to the sun. Water flush shrubbery, sidewalks, blacktop, asphalt, equipment and all adjacent surfaces immediately upon contact. Will not remove any paint, stain or clear finish that is in sound condition. May dull painted and metal surfaces if it is not rinsed off quickly. Will not bring back a natural wood color to pressure treated green lumber since its color was previously lost in the original treatment of the wood. X-180 Weathered Wood Restorer is SLIPPERY when applied to wood surfaces. Use extreme caution when washing surfaces, especially roofs. Avoid contact with skin and eyes. Wear rubber gloves and safety goggles when handing. When spraying, either during application or the rinsing stages, wear full protective clothing. Beware of wind drift onto auto and pedestrian traffic when rinsing or applying X-180 Weathered Wood Restorer. Fully protect all adjacent surfaces, especially aluminum. Do not allow X-180 Weathered Wood Restorer™ to splash or dry onto adjacent surfaces. Immediately rinse with water any residue that comes in contact with adjacent surfaces. Unlike bleach and detergents, X-180 Weathered Wood Restorer™ is not considered a strong defoliant. However the use of breathing types of drop cloths to protect delicate and/or adjacent vegetation is recommended. Store in a climate controlled space. Shelf Life-The product will over time develop crystals which will need warming to melt. The effectiveness should not diminish as long as the container is sealed. Un-opened container should be good for 2 years. X-180 Weathered Wood Restorer™ is approved for shipment to all 50 states via FedEx Ground. I have used the X-180 Weathered Wood Restorer in the past and was very happy with the results. Read the instructions carefully. You cannot go wrong with this product. I gave it a 5 star rating because that’s what it deserves.